In the long run, CETA’s failure is a lesson in what is structurally wrong in EU trade politics, writes Iana Dreyer. Iana Dreyer is founder and editor of Borderlex, which covers European trade policy. Trade policy is at the heart of the EU, because it is inherent to the bloc’s customs union and to the EU’s single market. The return of unanimity in decision-making in trade policy, highlighted by the decision to adopt CETA as a ‘mixed’ agreement in July this year, could be the death knell of the EU’s most powerful international policy: trade. The mixed agreement procedure requires unanimous backing by all member states instead of the ‘qualified voting majority’ foreseen for decisions falling under the so-called Common Commercial Policy. European Council President Donald Tusk put it starkly to journalists last week. If there was no consensus on CETA in the coming days, “CETA could be the EU’s last free trade agreement”, the Polish EU leader said. So who or what’s to blame? It’s too easy to blame Wallonia. Start perhaps by blaming Belgium. Largely unreformed economically, Wallonia is a poor part of otherwise prosperous Belgium, and has been run by a Socialist party for decades (what is cause and effect of these two phenomena is worth a discussion of its own). Belgium’s population is that of greater Paris: but it has seven legislatures, all with powers to decide on international policy. Yet the point is not so much about Belgium. CETA, in many ways, only exposes the structural contradictions of the very treaties that underpin the functioning of the EU and the crisis of national states. The 2009 Lisbon Treaty did not create “more Europe” , as both proponents and detractors of the notion often say. It institutionalised the conflict between federalism and nationalism (others say ‘national sovereignty’) inherent in the European project since its very inception. 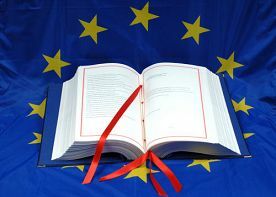 The Lisbon Treaty significantly increased the EU’s powers to make international agreements, including in areas where it does not have full legal competence. That is why ample room was made for ‘mixed’ agreements. This is when the EU concludes an agreement where the member states have a full competence, or share powers with the EU, and the international deals need to be ratified unanimously by all 28 member states. The treaties are clear. The Common Commercial Policy falls under the remit of the EU’s exclusive competence. But what exactly falls under the CCP remains contested. Most member states never accepted that foreign direct investment, or intellectual property falls under the CCP. Yet the Lisbon Treaty’s Article 207 included these items, which were previously in the hands of member states. The Commission has always considered that FDI policy and, in particular, international investment protection policy is now an EU-only competency. Germany, the Netherlands and many other member states in particular never wanted to relinquish their control over their many bilateral investment treaties containing investor-state dispute settlement provisions. The dispute is ongoing, as the EU is currently cracking down on intra-EU BITs. This old conflict over investment protection remains at the heart of the controversy over CETA. Member states decided this area should not be applied provisionally, as other areas of CETA, which fall squarely under the EU’s exclusive remit (such as tariffs, and most other areas of the agreement). The Lisbon Treaty is the result of a botched ‘constitutional convention’ convened in 2004. An ambitious constitutional treaty was rejected by the French and the Dutch in national referendums in 2005. They were thereafter revised and repackaged. The resulting Lisbon Treaty has tried to accommodate everyone: Europhiles, democrats and nationalists alike. With CETA, the inherent tension in the EU between the different forces pulling in different directions in the EU has now come to a head. The Lisbon Treaty gave the EU more powers to conclude international treaties and it gave co-decision-powers to the European Parliament. Giving these powers to the Parliament was not only a “more Europe” move, it was a “let’s democratise Europe” move. This perhaps gave more anti-EU axes to grind to nationalists and Eurosceptics. They lost their monopoly claim over democratic legitimacy. National parliaments and governments have not much to fear from the European Parliament. In practice, the European Parliament amplifies the power of national parties in power in the capitals. The close collaboration of the German ministry of economy led by Germany’s Vice Chancellor Sigmar Gabriel and the chief of the trade (INTA) committee in the parliament, Bernd Lange, a German social democrat, is illustrative of this. It was their collaboration that led to a renegotiation of CETA in 2015 to introduce changes to the investment chapter and introduce a half-hearted court system to replace private arbitration. Their joint influence in bringing about the ‘interpretative declaration’ initiative to appease the European left on CETA – the declaration the Wallonian leader Paul Magnette is haggling about with the Commission – is a clear example of the magnified influence of national parties in Brussels post Lisbon Treaty. A previous piece of commentary blamed the Juncker Commission for causing the CETA crisis. Juncker should never have given in on declaring CETA ‘mixed’: he shouldn’t have given away his intentions in the media before informing the governments either. But clearly many member states are to blame. Not all of them. Italy, a staunch supporter of CETA, saw the writing on the wall and wanted the Canadian deal to be adopted as an EU-only deal in July 2016. It is Berlin and Paris who are prominently at fault here. Both wanted to keep a tight leash on the Commission and give the last word to their countries. They did this to appease the left flanks of the parties in power (SPD in control of the economics ministry, socialists in control of power in Paris), as part of a general nationalist and protectionist tide in their politics. However, both Paris and Berlin also clearly want CETA. The French government went as far as cheating with its legislature this month to get CETA through back home. Ahead of a committee vote early October on CETA, five anti-CETA Socialist Party MPs mysteriously resigned from the European Affairs commission to be replaced by five pro-CETA Socialist Party MPs. This helped secure a majority to reject an anti-CETA motion ahead of a trip by Prime Minister Manuel Valls to Quebec last week. Just after the vote, the old MPs were reinstated in the Commission. No wonder, French (formerly or still partly) state owned companies in the environment, transport and energy sectors are the big winners of CETA. Wallonia’s Paul Magnette started complaining about “pressure” and “veiled threats” after he was summoned to Paris on Friday (14 October 2016) to meet fellow francophone socialist François Hollande. Gabriel, for his part, went as far as to stake his future career on CETA. He manoeuvred adroitly to keep his party happy – instigating the ‘interpretative declaration’ over which the Commission is still haggling with Magnette, and travelling to Canada to have a photo op with dashing Prime Minister Justin Trudeau. If he is victorious, Gabriel can be seen as a serious candidate to represent the SPD in the coming general elections in Germany. What the French and the German social democrats in power have in common is not only divided parties to accommodate, it is also a short term national myopic vision. Were they not capable of seeing what was coming, namely the risk that CETA gets dumped? Obviously not. So Fekl and Gabriel are paying the price of their own stratagies. Whether CETA makes it or not, discussions will have to begin on ways to make the adoption of trade treaties more effective. Though the Commission is partly to blame for the CETA train wreck, myopic member states and party politics are even more so. TransCanada is suing the American government for $15 billions because Obama refused to approve of Keystone Pipeline. This is under NAFTA. CETA is written so vague that no guarantees can be given that something like that could not happen for us.¨ISDSs is not in EU’s interest.